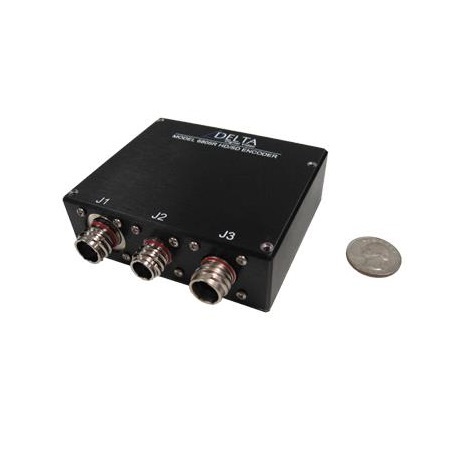 The VSC/900 provides video scan conversion from any video input format to any video output format up to 2K by 2K. The unit also supports stroke (vector) video signals. The VSC/900 has an integrated mixer/keyer for combining computer graphics and video. 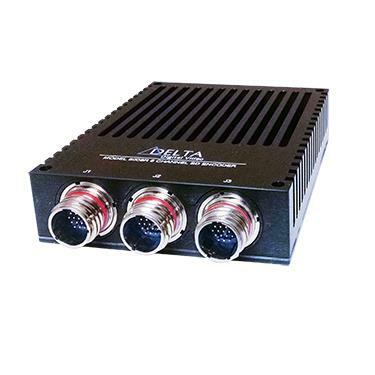 An optional video encoder can be included to provide video-over-IP functionality. 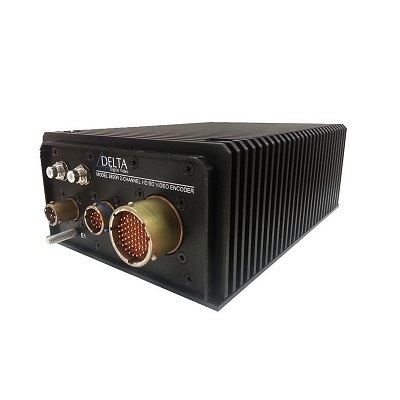 This is an H.264 AVC encoder providing an MPEG-2 compliant transport stream over a fully configurable IP network. 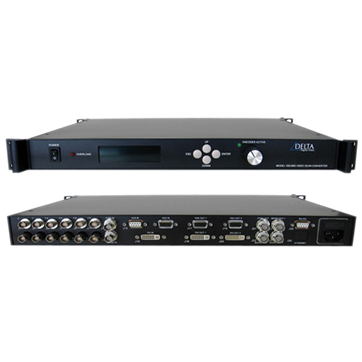 The unit is a 1RU package with a front panel control interface. The rear panel provides a full range of analog and digital inputs and outputs including HD-SDI, DVI, composite and vector signals.